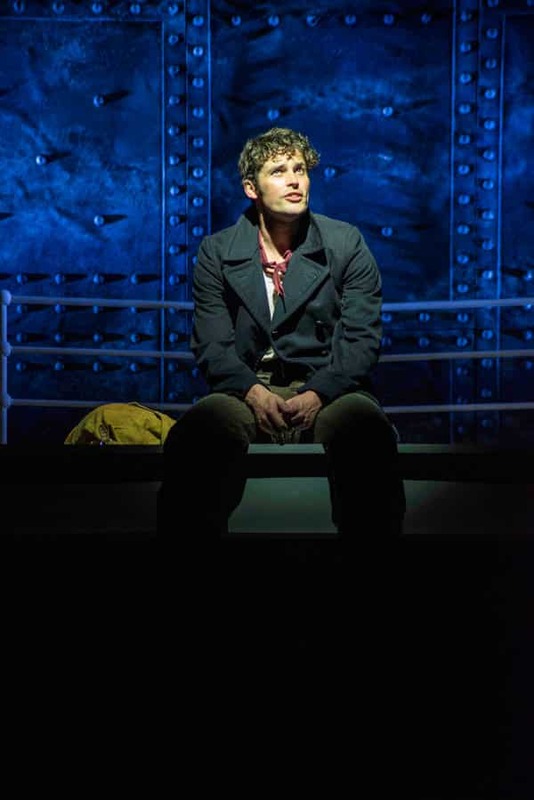 Musical theatre works best, when as an audience a show is able to get you to suspend your belief, to look and listen, to wonder and to walk out into the night changed. 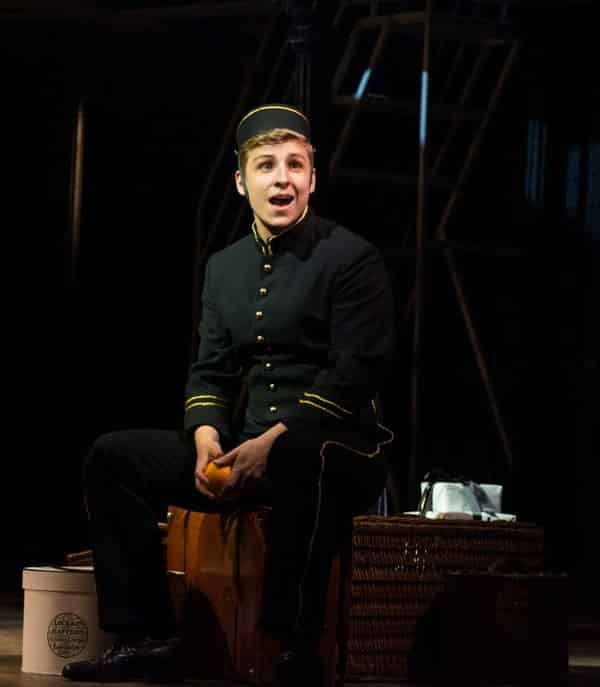 Titanic the musical, currently playing at the Charing Cross Theatre by Maury Yeston (Music and Lyrics) and Peter Stone (Book) is just such a musical. I doubt there is a person alive who does not know the story of Titanic, so there are no great shocks in store. What Yeston and Stone have done is to make audiences honestly believe that the passengers and crew themselves never in a million years thought the ship would sink. It’s a basic premise in itself, but when taken in conjunction with everything you know about Titanic, you get a chance to look at the epic tragedy with new eyes. 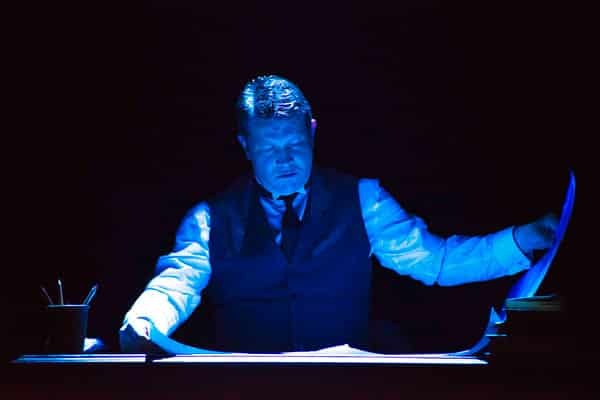 Sion Lloyd as Titanic Architect Andrews. From the moment Titanic opens you get the feel of the wonderment and awe, that all of those people who are about to board feel towards the ship. There is just no way in their minds that anything could go wrong. For each passenger and member of the crew Titanic has special meaning, whether it be to increase their social standing, or as the doorway to a new life in America. It’s intoxicating stuff, perfectly underscored by Yeston’s superb music. Major and minor chords combine to create a sense of majesty and yet trepidation. But one by one, they board the ship and start a journey, which for nearly all would end in their deaths. Director Thom Southerland and Musical Stager Cressida Carre have stripped down the size of the tragedy and created the biggest musical you are ever likely to see in an intimate 300 seat theatre. You can’t help but get engaged with the excitement of those boarding at the start of the show. Like the giant turbines of Titanic the show gears up, slowing almost imperceptibly just before the end of Act One, allowing Act Two to look at the human reaction to events as they unfold. A supremely talented cast of twenty, perhaps one of the best I have ever seen, bring to life the souls who survived and those who perished. 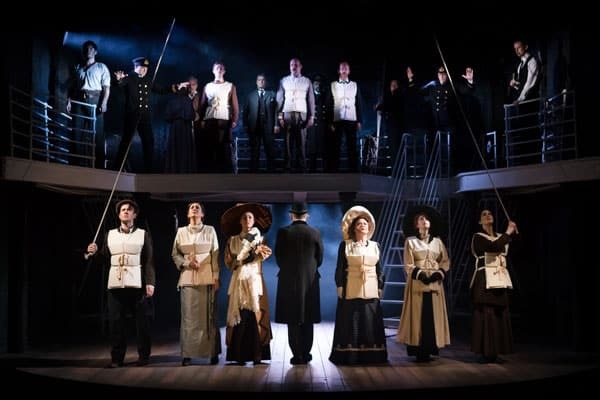 This production of Titanic works because its creative team and its cast are so perfectly in synch. 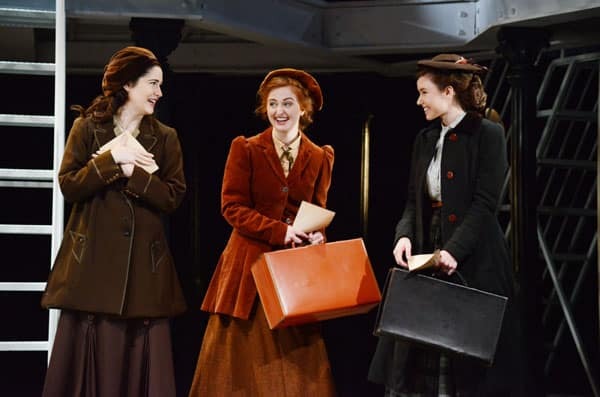 The cast are amongst the best musical theatre performers anyone could hope for and it’s creative have given them the environment in which to tell a story with enormous emotional impact. They prove that it is entirely possible to tell an epic story without an epic set and still wring every ounce of emotional response from an audience. So many moments from the show gave me goosebumps. 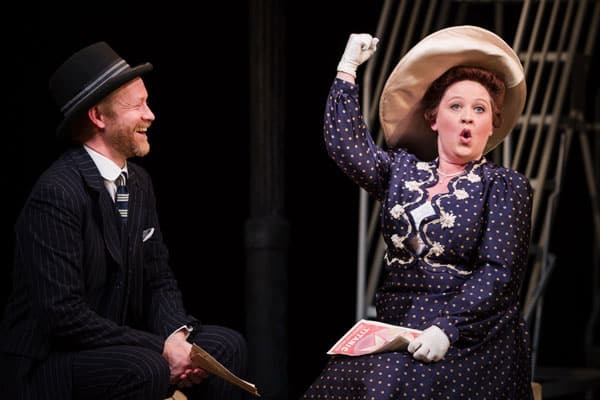 Claire Machin’s aspirational Alice Beane, smiling having danced with the first class passengers, and Luke George’s Bellboy whose wonderment is replaced by a quiet acceptance of his fate. James Gant’s Etches who retains his composure and dignity whilst the world around his collapses, and the Strausses (Dudley Rogers and Judith Street) who show their love for each other and the wisdom of age. 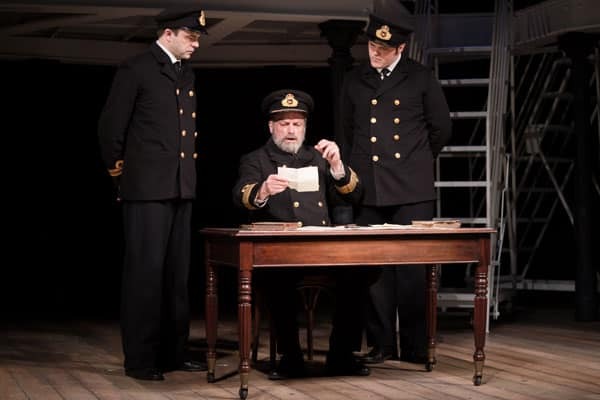 Niall Sheehy’s Barrett who steps aside to the benefit of another, Matthew Crowe as wireless operator Bride singing about his childhood and how he came to be on Titanic and David Bardsley’s Ismay jumping ship with the women and children are all simply wonderful. You cannot help but be completely drawn in by the wonderful melodic stillness of the Act One closer. 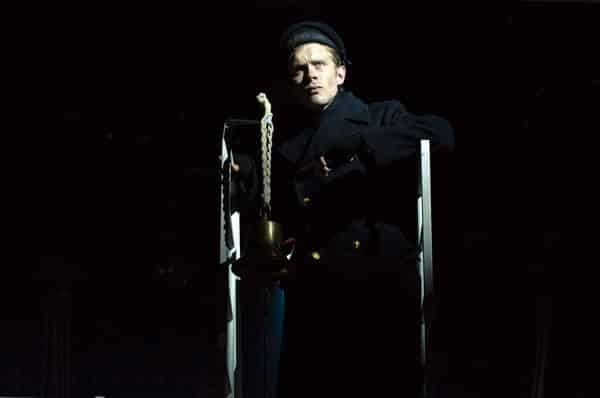 Rob Houchen as Fleet in the crows nest singing No Moon is intoxicating and as beautiful a melody as you could ever hope to hear in a musical. 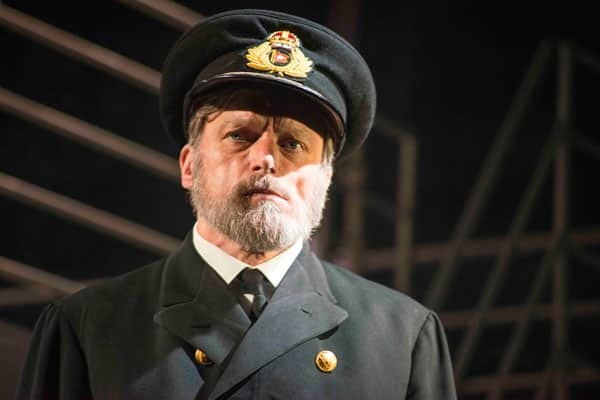 To realise that it would take only two hours for Titanic to sink and that it could not be stopped was devastating, and watching how different people react to that realisation makes this a must-see musical. Ian Weinberger’s rich new orchestrations for Titanic are quite something. So perfectly attuned are they to the voices in Yeston’s score that you would swear you were listening to an orchestra four times its size. Musical Director Janna Cichonska and Musical Supervisor Mark Aspinall together with Sound Designer Andrew Johnson triumphed. The music was lush, every word was heard and the bone-shaking sound of the iceberg strike, whilst not loud was enough to raise all the hairs on the back of my neck. 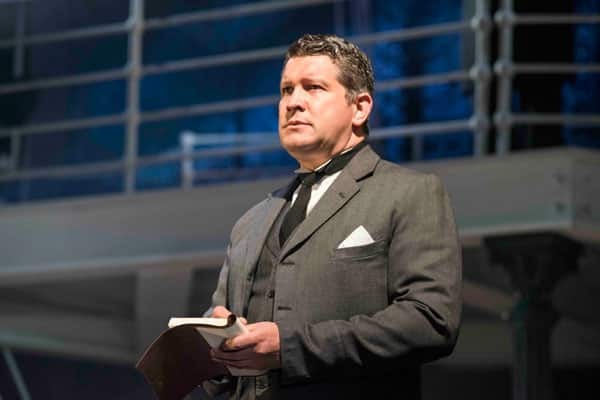 To my mind Titanic is currently the best show in the West End at the present time. 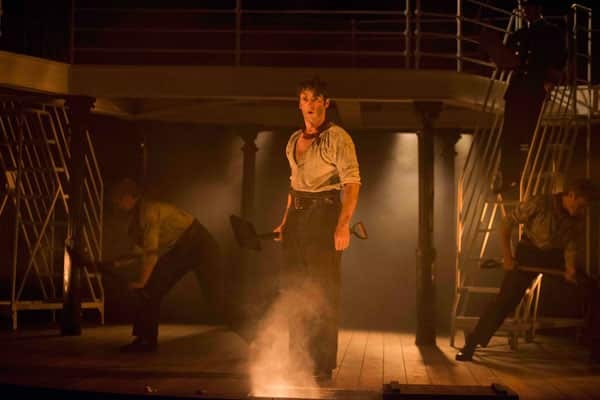 Any lover of musical theatre would be crazy not to get a ticket to experience Titanic. Titanic is the perfect example of the emotional effect that a good musical can have. I for one will be taking others to see the show and cannot recommend it highly enough. Sion Lloyd as Andrews. Photo: Annabel Vere.